By using the best available data to monitor galactic traffic in our neighborhood, Noam Libeskind from the Leibniz Institute for Astrophysics Potsdam (AIP) and his collaborators have built a detailed map of how nearby galaxies move. 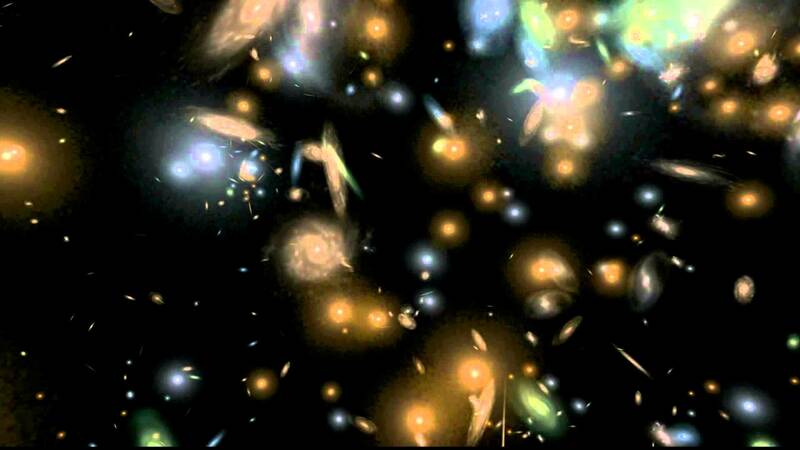 In it they have discovered a bridge of Dark Matter stretching from our Local Group all the way to the Virgo cluster – a huge mass of some 2,000 galaxies roughly 50 million light years away shown above, that is bound on either side by vast bubbles completely devoid of galaxies. This bridge and these voids help us understand a 40 year old problem regarding the curious distribution of dwarf galaxies. These dwarf galaxies are often found swarming around larger hosts like our own Milky Way. Since they are dim they are hard to detect, and are thus found almost exclusively in our cosmic neighborhood. A particularly fascinating aspect of their existence is that near the Milky Way and at least two of our closest neighbors – the Andromeda and Centaurus A galaxies – these satellites don’t just fly around randomly, but are instead compressed on to vast, flat, possibly spinning, planes. Such structures are not a naive outcome of the Cold Dark Matter model that most cosmologists believe is responsible for how the universe forms galaxies. These structures are thus a challenge to the current doctrine. One possibility is that these small galaxies echo the geometry of structure on much greater scales: "This is the first time we have had observational verification that large filamentary super highways are channeling dwarf galaxies across the cosmos along magnificent bridges of Dark Matter" Libeskind says. This cosmic “super highway” gives the speeding satellites an off ramp along which they can be beamed towards the Milky Way, Andromeda and Centaurus A. 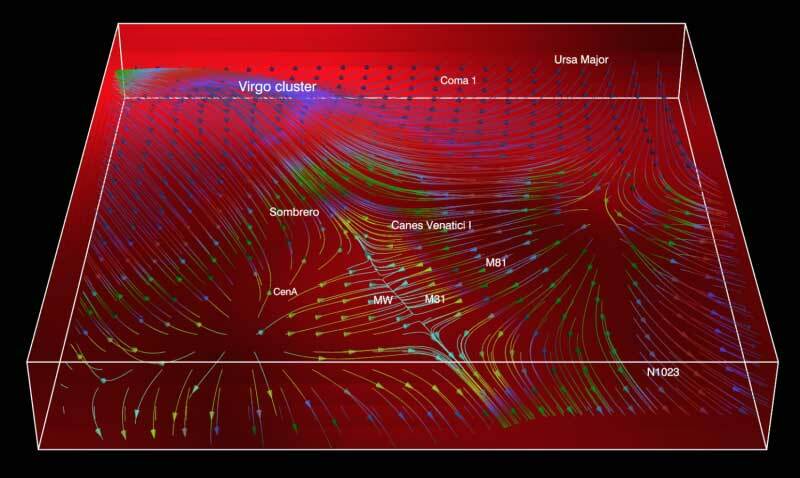 “The fact that this galactic bridge can affect the dwarf galaxies around us is impressive, given the difference in scale between the two: the planes of dwarfs are around one percent of the size of the galactic bridge to Virgo”. The key topics of the Leibniz Institute for Astrophysics Potsdam (AIP) are cosmic magnetic fields and extragalactic astrophysics. A considerable part of the institute's efforts aim at the development of research technology in the fields of spectroscopy, robotic telescopes, and e-science. The AIP is the successor of the Berlin Observatory founded in 1700 and of the Astrophysical Observatory of Potsdam founded in 1874. The latter was the world's first observatory to emphasize explicitly the research area of astrophysics. Since 1992 the AIP is a member of the Leibniz Association. Publication: Noam Libeskind et al. „Planes of satellite galaxies and the cosmic web“ in Monthly Notices of the Royal Astronomical Society and in arXiv.